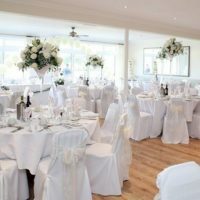 Set in the heart of the Sussex Downs, the Mid Sussex Golf Club offers a stunning and fully licensed venue for civil ceremonies and wedding celebrations. Surrounded by glorious English parkland and maintained gardens, the Golf Club provides a stunning backdrop for memorable wedding photographs. 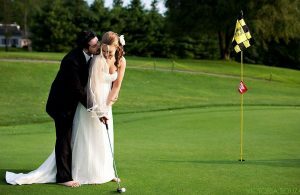 With a dedicated wedding coordinator and a variety of set and bespoke wedding packages, Mid Sussex Golf club strives to surpass your expectations. The newly refurbished clubhouse is naturally lit and features neutral décor to compliment any colour scheme. Additionally, this spacious setting benefits from a modern bar and terrace overlooking splendid views of the course. For larger celebrations, there is plenty of room for a marquee within the grounds and ample free parking. The club is licensed for Civil Ceremonies accommodating up to 100 guests and wedding breakfasts up to 120 guests. For evening celebrations, the Club can accommodate up to 250 guests. Choose from a variety of set packages or work with the wedding team to create a bespoke celebration that reflects your tastes, personalities and budgets. The all-inclusive packages are based on 60 daytime and 40 additional evening guests but are easily tailored to suit your needs. 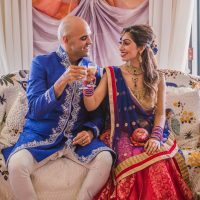 In addition, the Golf Club also caters for grand Asian weddings and are happy to work with external caterers and events teams. 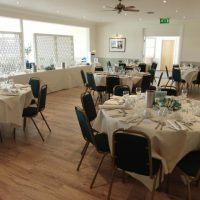 Includes Room Hire and set up, Tables and Linens, Arrival Drinks, 3 Course Wedding Breakfast, Coffee and Mints, Table Wine, Toast Wine, Evening Buffet. Includes all that is included in the Mallard Package, but with the addition of, White Chair Covers and sashes in your choice of colour, Cake stand, and Evening Disco. Includes everything included in the Nightingale Package, but with the addition of, Canapes, Wedding Favours, Cheese and Biscuits as an additional course for wedding breakfast, and mini desserts to follow the evening buffet.